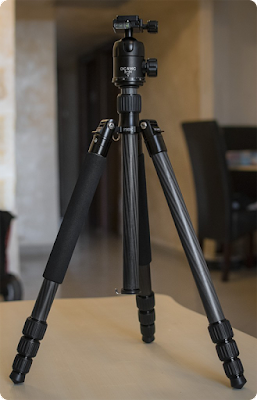 The Dic&Mic P303C Carbon-Fiber Tripod, which when extended reaches 1.75m (68.9") height, is available on the AliExpress app for $135.15 + international shipping (varies). Cheapest ever! I bought one about 2 years ago, and it's great. 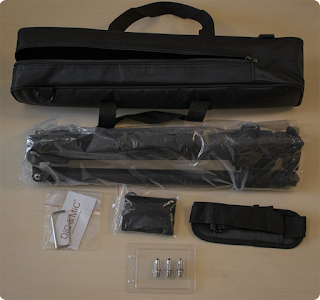 Light weight, extends to 1.75m height and comes with a ball head, which can carry a DSLR without a problem. One of the legs can be detached and used as a monopod. Also, you get 2 sets of feet - rubbery ones and spike ones. The center column can be flipped to allow the camera to be mounted between the legs for shooting low. Anyway you look at it, it's a bargain.